Inspiration Dior is an exhibition held at the Pushkin Museum of Fine Arts that is promising to become one of the most spectacular attractions of this season. The whole Dior universe—perfumes, leather goods, fine jewellery, watches, couture dresses—will be presented against a background of about one hundred works of visual art by Pierre-Auguste Renoir, Jean-Auguste-Dominique Ingres, Gustav Klimt, Vincent van Gogh, Edouard Manet, Maurizio Cattelan and Vanessa Beecroft. The world of Dior provides the opportunity to view René Gruau’s strikingly modern illustrations and allows the Russian plastic artist, Olga Kisseleva to create an installation exploring the sensual and sensory universe of Dior perfumes. A mirror effect of deliberate similarities lays down the framework of this exceptional exhibition, in which the quest for ideal beauty creates the link between Christian Dior, genius couturier, and the impressive and unexpected gallery of great masters. Among the fashion highlights, there will be several recent acquisitions, among which there is Richard Avedon’s photograph of “Dovima with elephants” which is considered to be one of the most recognisable fashion images of all times. Christian Dior presented his first collection at Avenue Montaigne In February 1947. Unknown until that moment, the designer who revered the French way of life entered upon one triumphant decade after another, providing women with regal clothes and a sublime look. Skirts were longer, shoulder lines were softened and waists were pinched. Dior “flower-women” blossomed in the postwar era and soon conquered the world with their infinite grace. New and highly innovative, the exhibition demonstrates how inspiration has nourished the heart of Dior for decades. 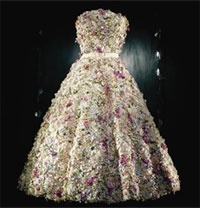 This amazing journey guides the visitor through Dior’s creative sources of fashion and its links to history, nature, painting, sculpture, drawing, photography and film. It reveals how an idea, a feeling, an era, a garden, a perception or even a smell can instill an idea in the heart and mind, giving rise to a unique creation. In this major exhibition, the Pushkin Museum showcases Dior magic and luxury while emphasizing the house’s links with art. The key themes of the Dior legend, past and present on a grand scale in original fashion, are set against unique works of art. It is a journey of corresponding elements and magical synergies, where the New Look is echoed in works by Picasso, Modigliani, Renoir, Cezanne or even Gauguin. Nudes by Vanessa Beecroft, Maurizio Cattelan and Orlan emphasise the gloriously modern lines of the female body, accentuated by Christian Dior. This waltz through time enchants the visitor with lush gardens and recollections of the 18th century and the Belle Époque. Marie-Antoinette meets Jeff Koons; Bonnard’s landscapes celebrate Dior’s “flower-women”. The Dior grand balls are also celebrated in all their glory in an enchanted setting where Ingres’ aristocrats admire breath-taking crinolines and haute couture gowns. The visitor is then transported around the world with Dior via Goya’s Spain, Matisse’s heady orient and, of course, Russia and Asia. 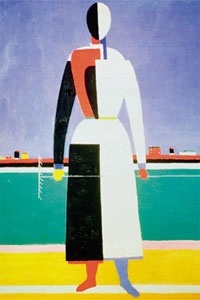 Russia figures in the mix, from graphic, geometric dresses juxtaposed with paintings by Kazimir Malevich to black-and-white fashion photos of Dior models frolicking in Red Square. A 320- page catalogue is to be published, available in French, English and Russian.